Returns on the Zapp Bug Room are not accepted even if unused. The ZappBug Room is enormous. It has over 280 cubic feet of internal space - enough to fit 50 PackTites. If you'e not storing PackTites, the Room is spacious enough to treat your sofa, mattress, bed frame, and just about anything else in your home that isn't nailed down. This heater is a game-changer for professionals and homeowners alike. 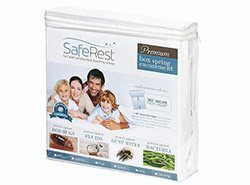 Instead of having to decide what to bag, what to steam, what to heat, and what to throw away, the process of killing bed bugs in your belongings can now be one step. Just assemble the Room, pack your furniture and belongings into it, and start the timer. Due to its size, the Room isn't quite as easy to set up as its siblings, the ZappBug Oven and the compact ZappBug Heater. That's not to say that it's suddenly this big job to get a Room up and running - there are just more materials involved, so it will take a little bit longer. To ensure a fast and thorough heatup, the Room uses four fan heaters, each attached to their own timer. The included wireless thermometer has three probes that can be placed in multiple parts of the heating space, so you can make sure that all of the contents are reaching the ideal temperature. Once they do hit that lethal heat level, a recirculation fan improves the convection within the Room, which speeds up the treatment time. Like the other heaters in the new ZappBug family, the Room is insulated for maximum efficiency and safety, and breaks down for easy storage. 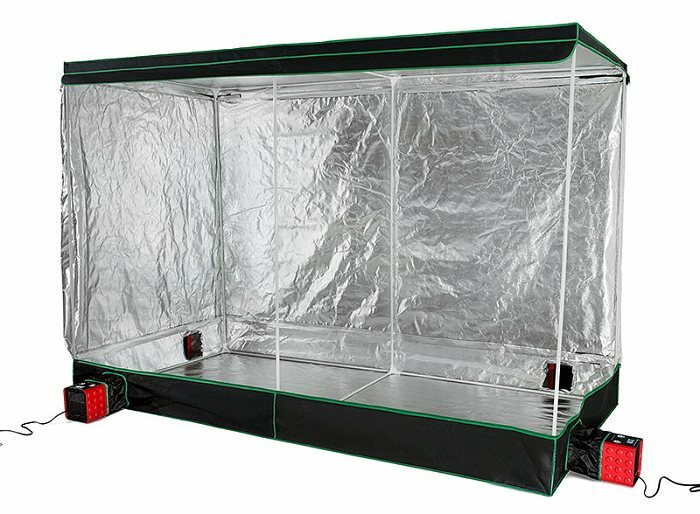 The tent uses a frame for support, and foam blocks are included to help improve circulation for larger items like furniture. For best results, consider stacking small belongings on racks or some other organizer. Also, make sure that you read the instructions thoroughly, and that everything you put into the Room can be safely heated over 120 degrees. 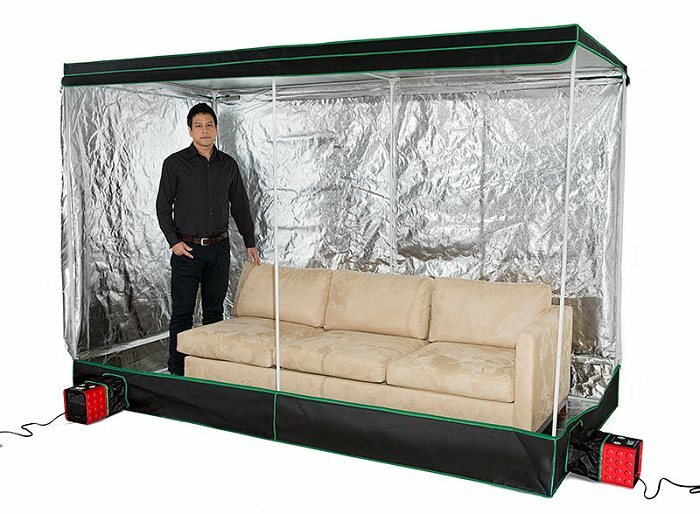 The ZappBug Room is by far the largest bed bug heater on the market. With 285 cubic feet of internal space, the Room is over 12 times larger than the ZappBug Oven and 50 times more spacious than the PackTite! There is more than enough room for everything in your room, including your mattress, bed frame, sofa, closet contents, and other personal belongings. ZappBug kills 100% of all bed bugs and their eggs. Scientific evidence shows that bed bugs die in one minute at temperatures above 120 degrees Fahrenheit. The temperature inside the Zappbug Room ranges from 120 to 155 degrees. Heat treatments are a safe and effective alternative to spraying your belongings with chemicals. A bed bug heater can treat large items, or many small items, quickly and thoroughly by safely heating them to a lethal temperature. This saves time spent checking each and every item, and saves money that may otherwise be spent replacing infested items that are thrown out. Bed bugs can hide almost anywhere a credit card can fit. That means they could be camping out in your clothes, shoes, books, and just about any other personal belongings you have in your home. You can start treating these items by drying your clothes on the highest heat settings possible. Items that can't be thrown in the laundry can be treated with the ZappBug heater. ZappBug is extremely easy to use. Simply set it up, load it with items and press the "on" switch on the included Belkin timer (making sure that eight hours is selected on the timer). The included timer automatically shuts off the heater when the treatment cycle is done. Q: This $1495 - does that include the room and the heaters? 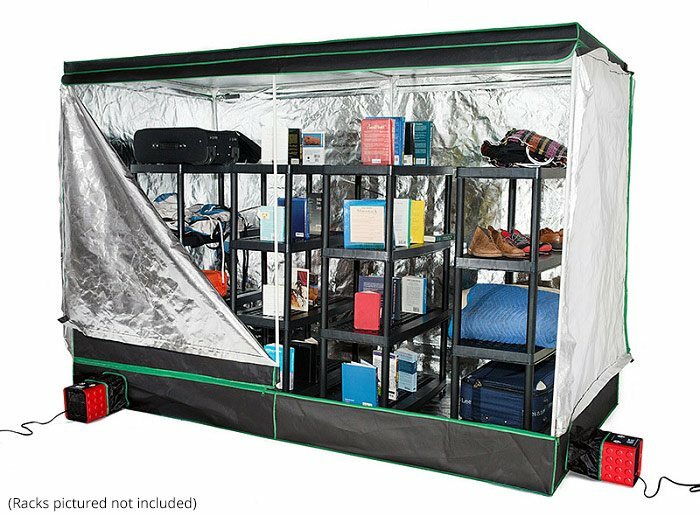 Yes, the room and all of the heaters, timers, temperature probes, and everything else needed for a bed bug heat treatment is included for the sale price. Q: so stuff goes in and the bed bugs are killed them. Is it recommended that stuff is wiped down and then clothes put into wash n dryer. And stiff gets wiped down? Is there a procedure on cleaning the ZappBug room that needs to be followed? 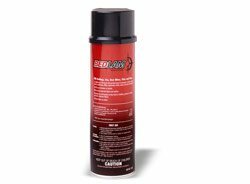 There's no real need to wipe down or clean any items after treating them in a ZappBug since the heating process doesn't leave any residue or anything behind. To clean the ZappBug, you can simply wipe it down with a damp cloth where needed. Q: Would a guitar and other electronics like a tv aplifyers computers extra will be effectid with the heat over a 120? A guitar has sensitive adhesives and finishes on many of its components, so I wouldn't put that in a heater. Other than that, most consumer electronics are safe to treat in a ZappBug. Q: how to order replacement leg extension ? Q: Do you sell shelving and/or recommend particular brand, size or material? No, we don't sell or recommend any particular kind of shelving for this unit. 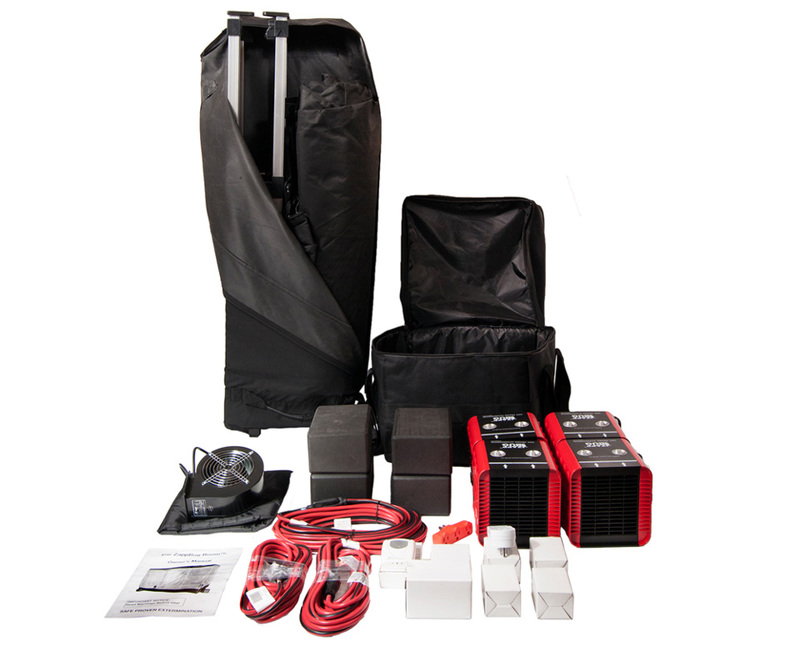 Q: Are the ZappBug Room Bed Bug Heater in stock and ready to be shipped? Yes, the Rooms are in stock, and can be shipped out the same day if you place your order by 4 PM Eastern time. Q: Do books need to be open and standing up like in the picture? I have a lot of books, can they just be stacked on shelves? You can stack up the books with no issue. Just make sure that the stacks themselves are separated a bit to allow airflow between them. Unfortunately, we do not have access to Room models that are compliant with 220 V outlets. You would need to find a European distributor for ZappBug who does. Q: If my house elect. will not handle zap room can I use a generator? And can I use just one at 5000 watts or do I need a 5000 watt generator for each of the 4 plug ins my house can not do? Each of the Room's plugs draw up to 1500 watts of power, so you definitely shouldn't plug all four into a 5kw generator. You'll need to find an additional source of power to ensure that each heater gets enough juice. Q: what protects the floor from being punctured or ripped - by couch legs, heavy dressers etc.? There are some tough layers of material on all six sides. It feels like a sturdy camping tent - those aren't impossible to tear, but it's not easy either. 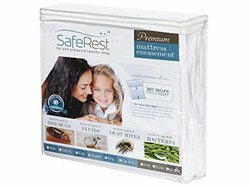 I have been a pest control operator for 19 years and have never found an affordable way to treat mattresses and other small furniture. This unit swallows up a lot of stuff saving me a lot of time when doing a treatment. We hit temperature in just 2 hours and baked 3 rooms worth of stuff in one day. Our time is valuable and having a higher capacity more than pays for this device. THANK YOU! Reviewed by: Lane from New Jersey. This thing works great! I encountered bed bugs at 31 for the first time in my life after moving into a rooming house. The psychological toll it took on me was insane. I bought this room to debug all my belongings before moving into a new place. Setup was pretty straight forward. You definitely want 2 people to set it up. As for performace? This thing is amazing! I had the room packed heavily. Started it at 11am. By 330pm 1 of my temp gauges was at 147 degrees, while the other sensor I had buried in the hard to get area was at 135 degrees. 4.5 hours is all it took. 1 thing to be careful about is if you are doing this in a smaller room that has a sprinkler system. Heat triggers these systems and that room is going to get warm(my room was 115 degrees by the end). I used outdoor faucet covers with ice packs in them and that kept the sprinkler temps down enough that by the end of the treatment my sprinklers only reached 95 degrees. Reviewed by: Jared Sprague from Boston, MA. Reviewed by: Jacob from Victorville. Reviewed by: gallexie from NYC.